Balance practice has never been this fun! An easy way to develop balance and coordination. Kids love stomping around on plastic buckets. Buckets now feature non-slip rubberized bottoms! The first step toward walking on stilts. 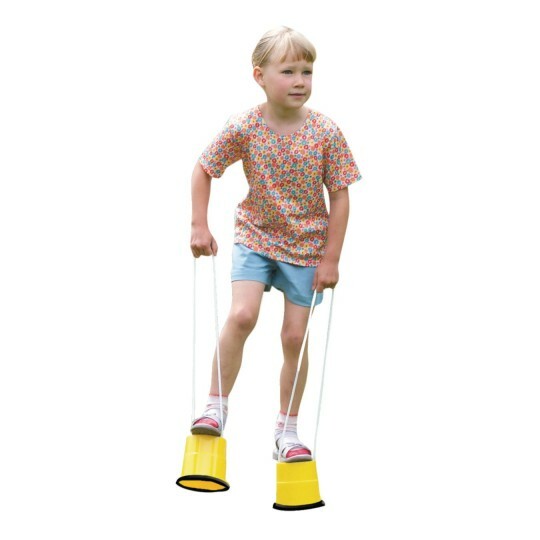 Children learn balance and develop coordination as they stomp around on 5"H plastic buckets that now feature non-slip rubberized bottoms. Rope grip extends up to 22" above the top of the bucket. The first step toward walking on stilts. 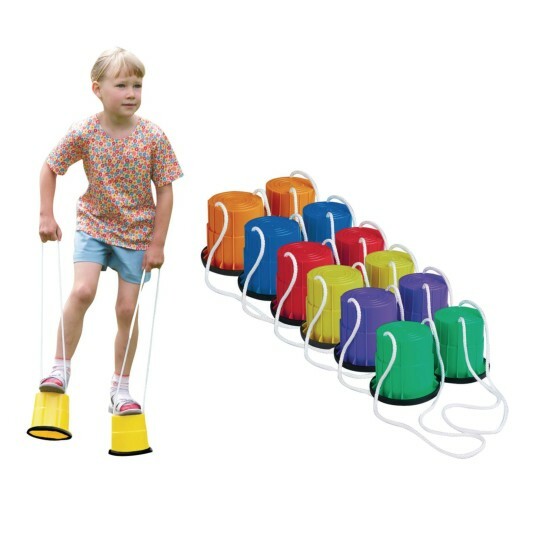 Includes 12 bucket stilts, 1 pair in each Spectrum™ color. Maximum recommended weight limit is 200 pounds. I loved the durability of this product for Elementary kids. I used them in centers for grades Early Learners K and 1st and 2nd. My 345th grade students loved being able to use a large gym space to practice their balancing skills. I used this product for a carnival theme on Family Reading night. Great success with the 5th graders who were dressed up a circus clowns. Fun activity for gross motor stations in kindergarten. 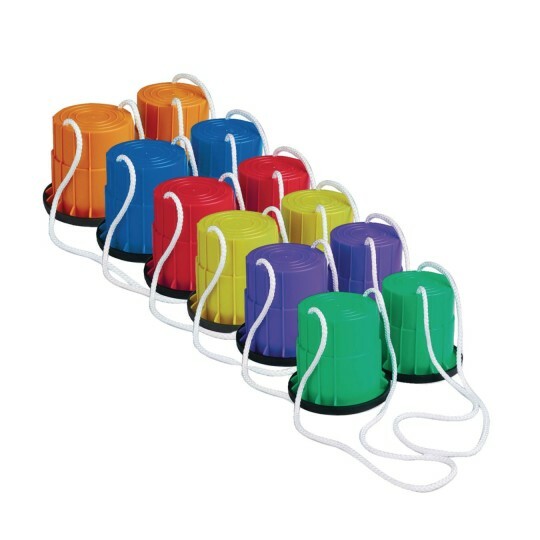 Colorful sturdy buckets. The students loved the stilts many have never tried them before. I would recommend this product for any age. The students loved it and some were able to run on the stilts. We use this game as a starter to Relay games pass the baton and other games. Excellent! Even the older children ages 14 and up wanted to have a go at the game. kids loved them. Easy to use and a stepping stone to my big stilts.